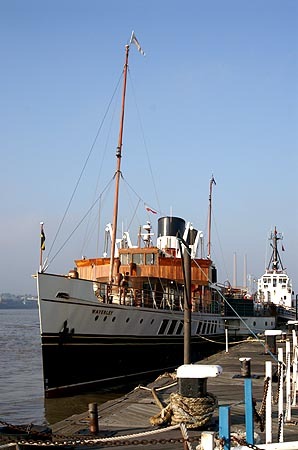 This page is devoted to photographs taken on a Thames cruise in 2005 of the preserved paddle steamer Waverley. 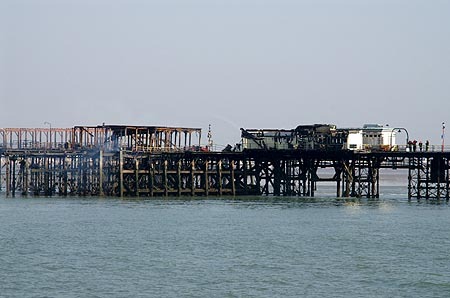 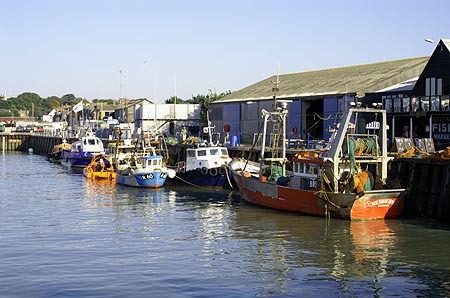 The cruise was planned to be to Dover via Southend, at the end of Waverley's Thames spell, but was cutailed to Whitstable following the serious fire on Southend Pier the night before, preventing passengers from joining there. 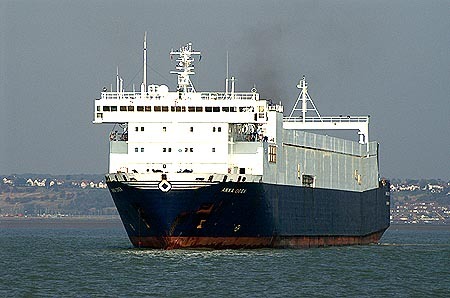 This page shows other ships and maritime scenes from this cruise. 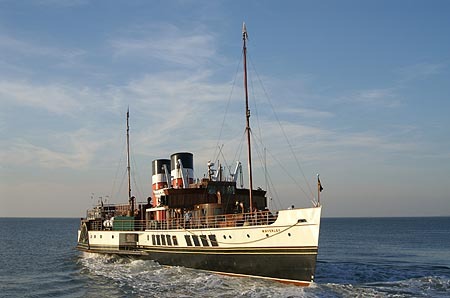 Waverley: Thames Cruise: 1 shows images of Waverley. 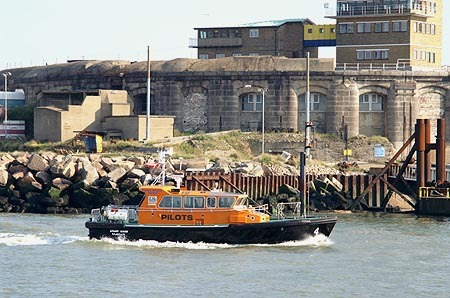 Waverley Photographs - 2005: Thames Cruise: 2 - this page! 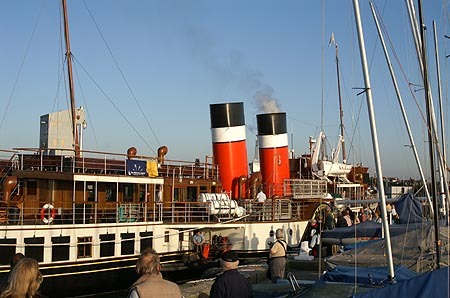 Waverley at Tilbury before departure. 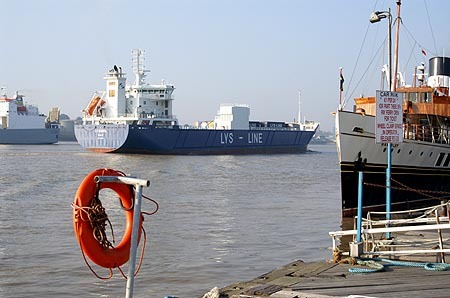 Lysbris of Lys-Line at Tilbury. 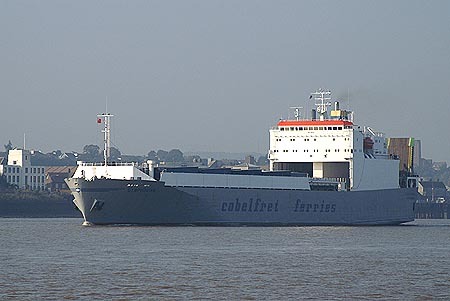 Symphorine of Cobelfret at Tilbury. 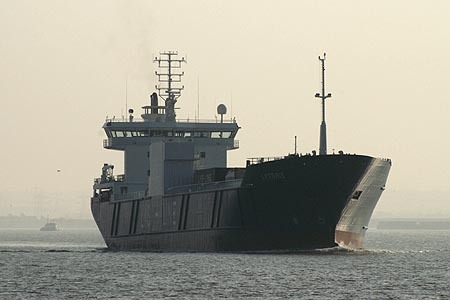 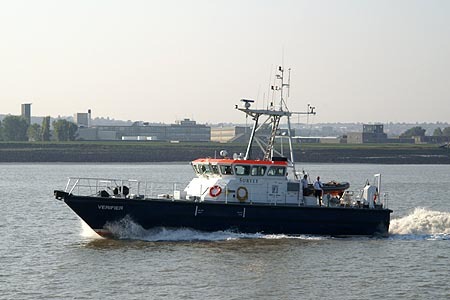 Survey vessel Verifier near Tilbury. 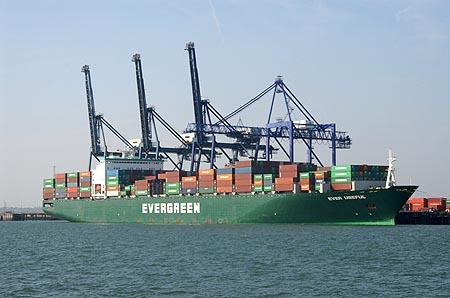 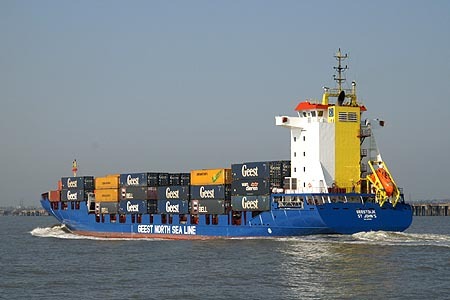 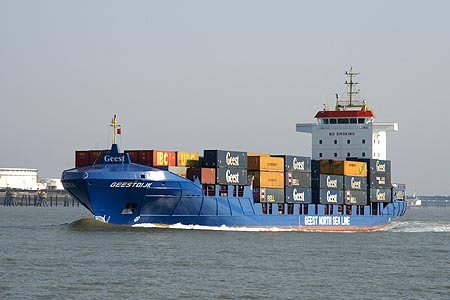 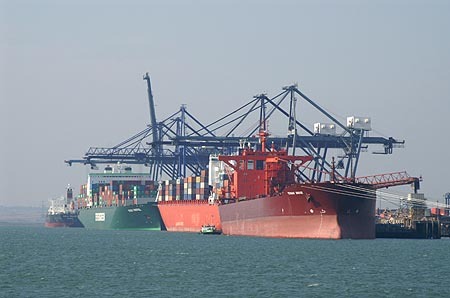 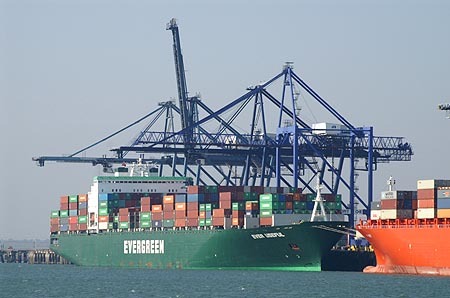 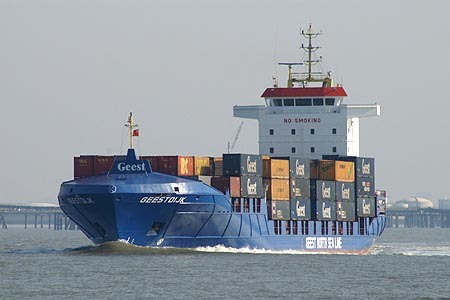 Container ship Geestdijk near Corringham. 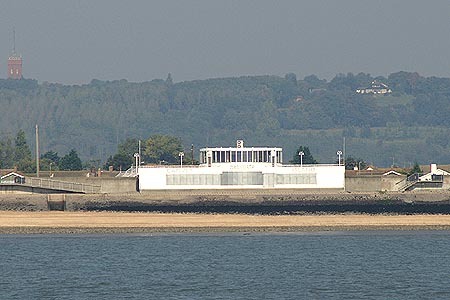 Canvey Island - note golden sand (imported). 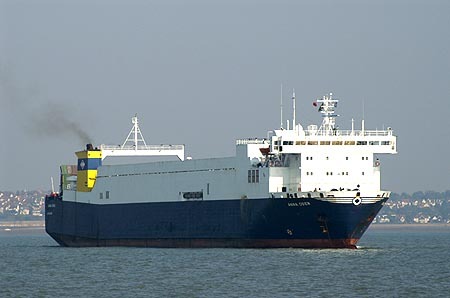 Anna Oden of Cobelfret anchored off Southend. 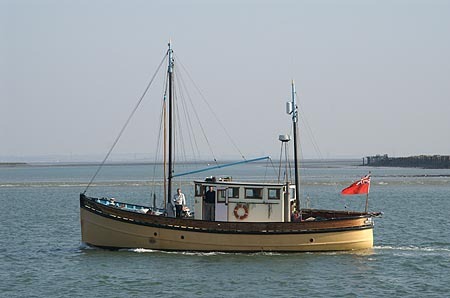 Anna Oden anchored off Southend. 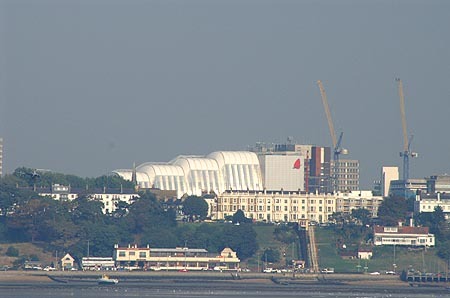 New building for South East Essex Colledge. 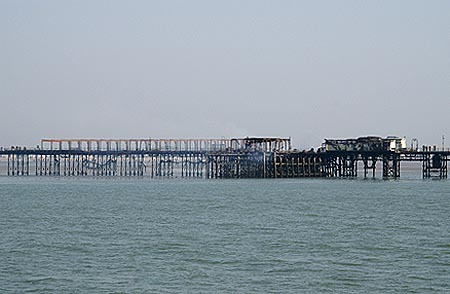 The fire was at the original end of the pier (lengthened some years after original constuction). 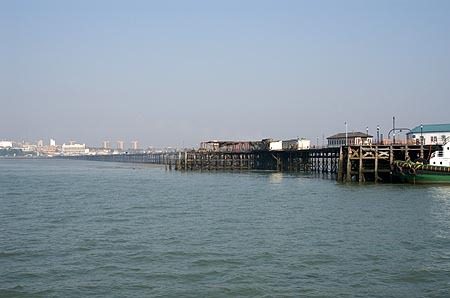 Still the longest pier in the world, despite various attempts to shorten it. 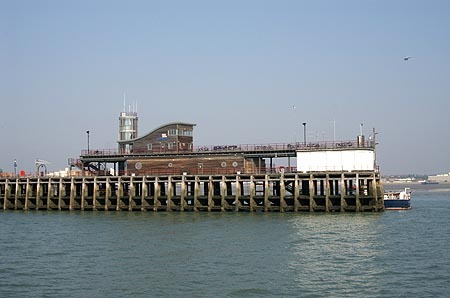 The new lifeboat centre on the pier extension. 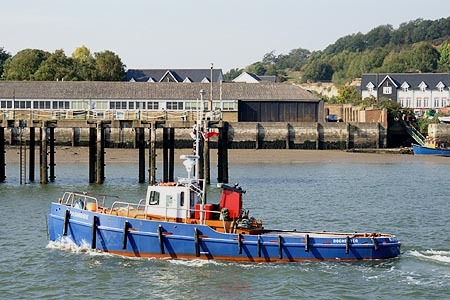 Tug Corringham which attended the fire on 9th/10th October 2005. 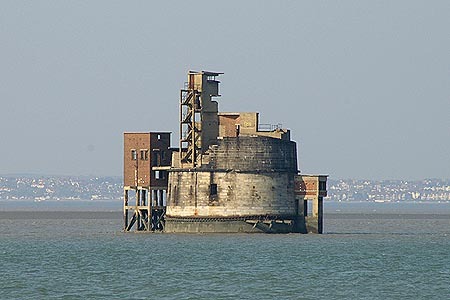 Grain Tower, built to defend the entrance to the Medway. 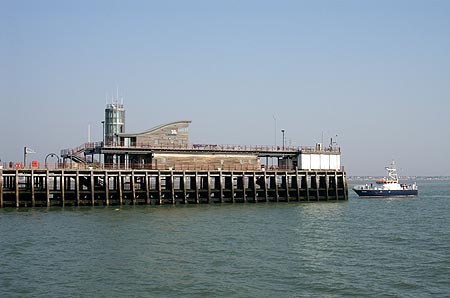 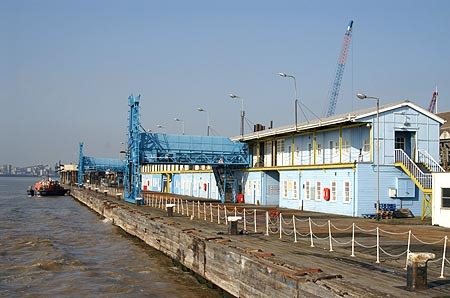 Sheerness ferry terminal (no longer in use for passenger ferries). 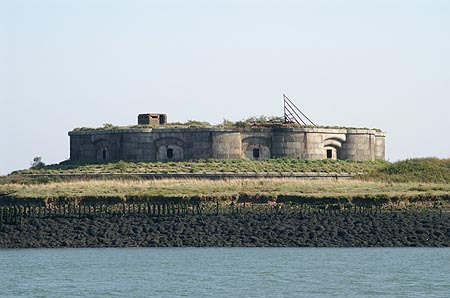 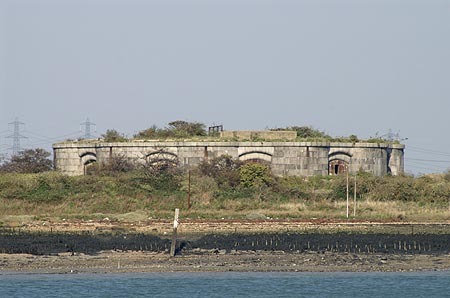 Sheerness ferry terminal - using a Napoleonic fort. 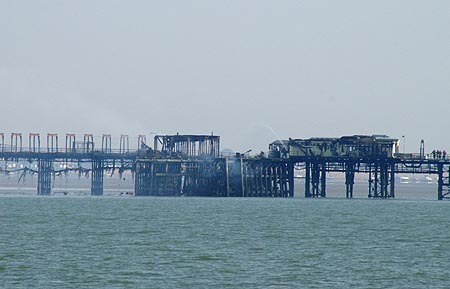 The remains of Queenborough railway pier - visible at low tide. 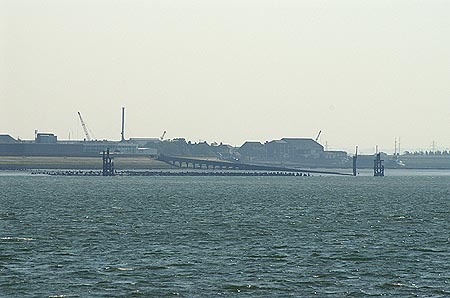 Cross Channel ferry services by the Zeeland SS Co ran from here. 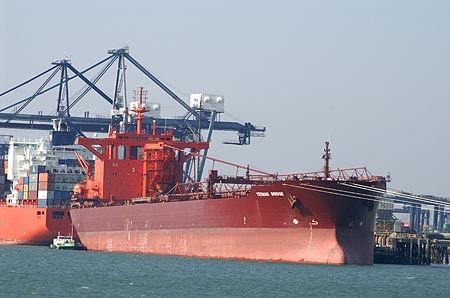 Bulk carrier Yeoman Bridge and container ships. 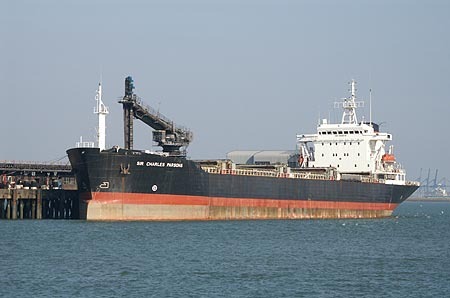 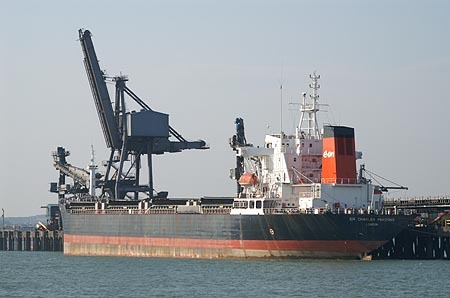 This is the largest "coaster" on the UK shipping register - she brings aggregates from Scotland. 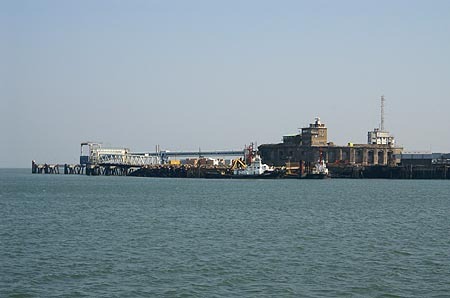 Bulk carrier Yeoman Bridge and fuelling barge. 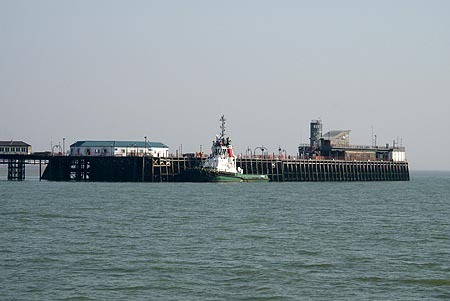 Bee Ness jetty - described as the longest jetty in the world. 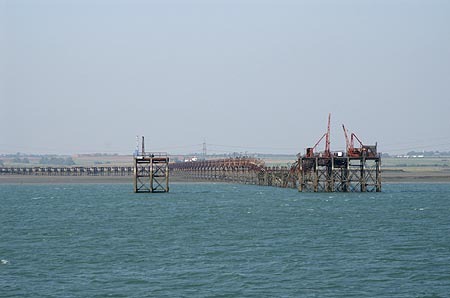 Unloading jetty at Kingsnorth power station in Long Reach. 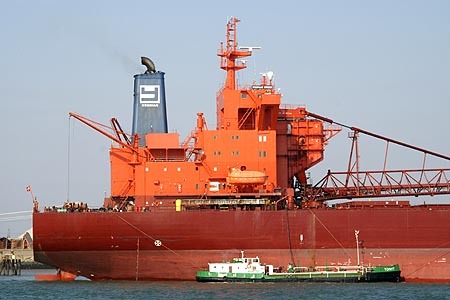 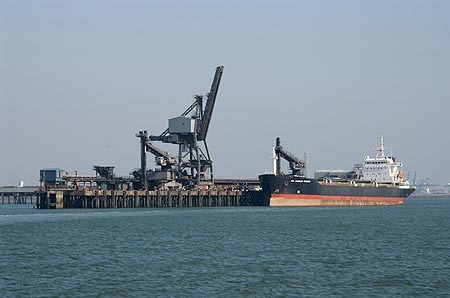 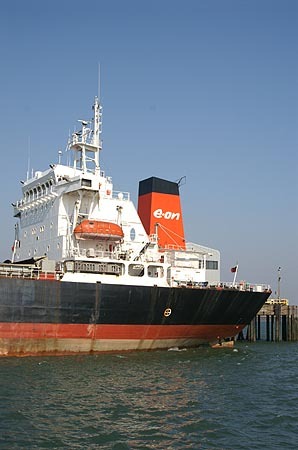 Sir Charles Parsons unloading coal - owners CEGB, Powergen and now German company e-on. 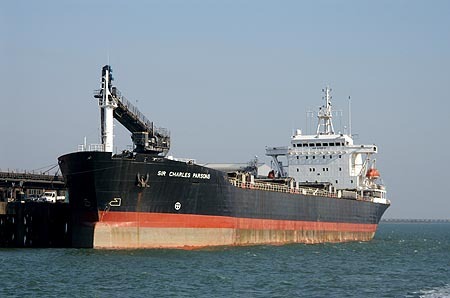 Sir Charles Parsons unloading coal. 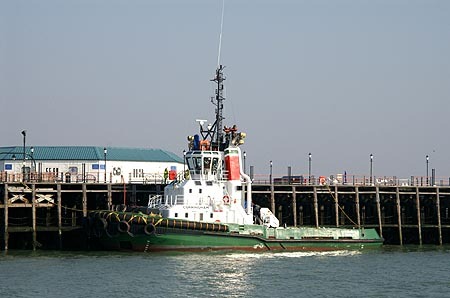 Sir Charles Parsons unloading coal - showing new e-on logo. 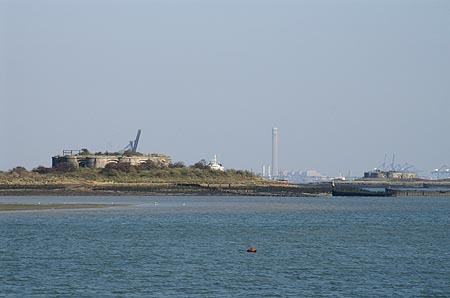 Hoo Fort (left) and Darnot Fort, with Kingsnorth power station in the background. 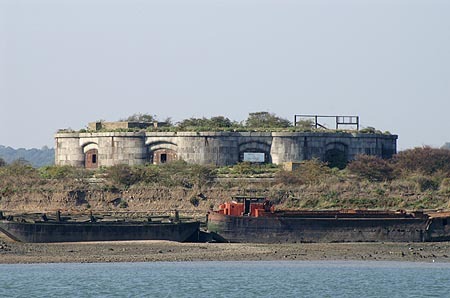 Darnot Fort in Pinup Reach. 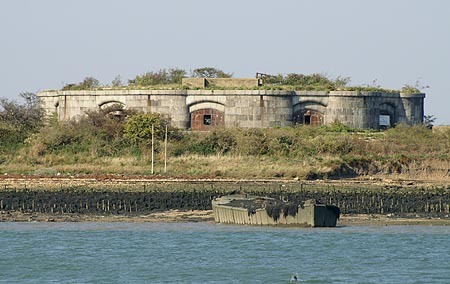 Hoo Fort in Pinup Reach. 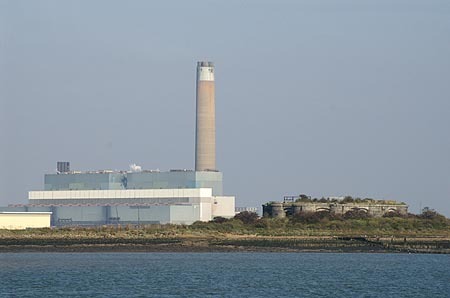 Hoo Fort and Kingsnorth power station. 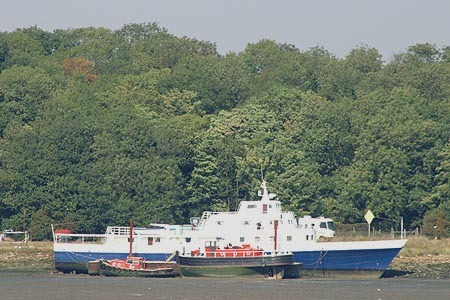 House boat at Hoo St Werbergh marina. 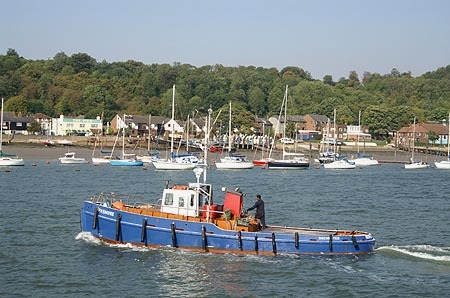 This boat was rebuilt from the steam gunboat commanded by Sir Peter Scott. 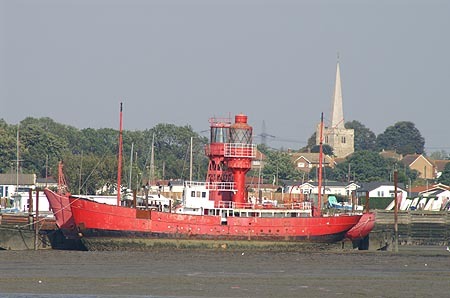 Lightships at Hoo St Werbergh marina, village church in the background. 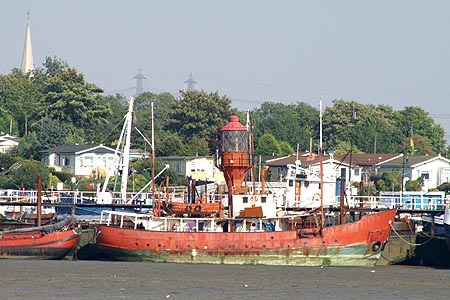 Lightships at Hoo St Werbergh marina. 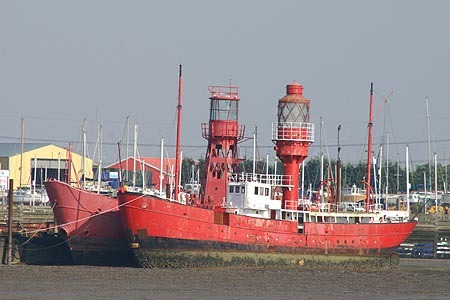 Lightship at Hoo St Werbergh marina. 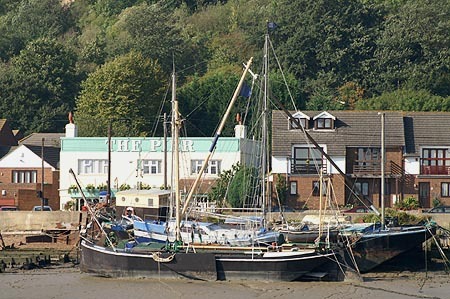 Barges and pub at Lower Upnor in Upnor Reach. 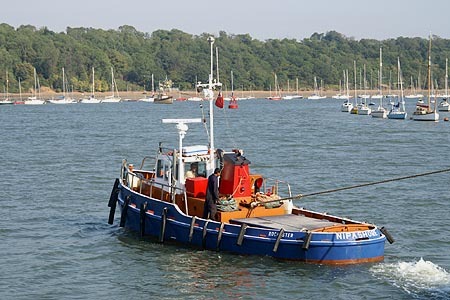 Tug Nipashore used to turn Waverley in Upnor Reach. 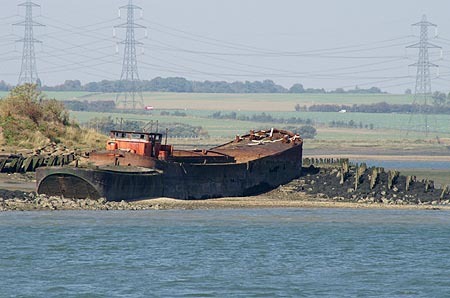 Derelict barges by Hoo Fort. 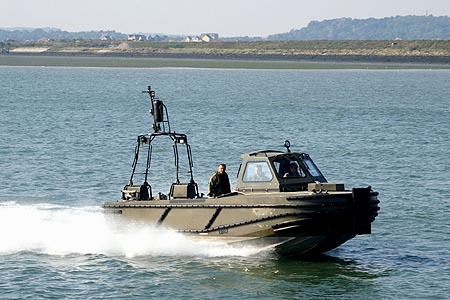 Army fast craft passing Waverley. 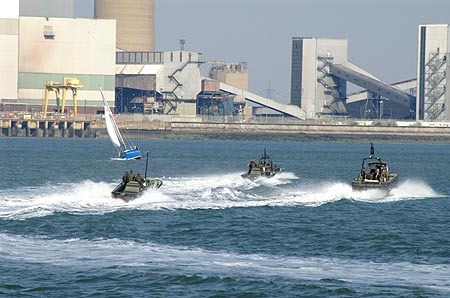 Army fast craft passing Waverley with Kingsnorth power station. 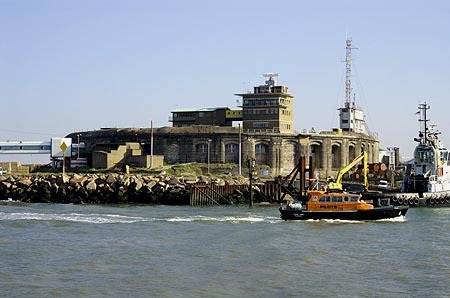 Wreck of the Richard Montgomery. 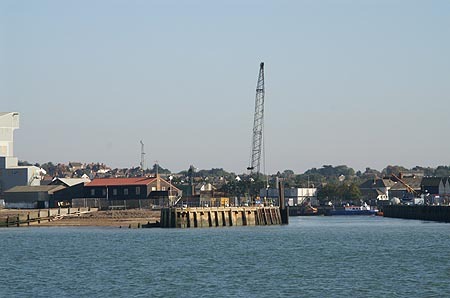 In August 1944, the Richard Montgomery grounded and broke in two, 1.5 miles off Sheerness, while carrying munitions from the United States for the allied war effort in France. 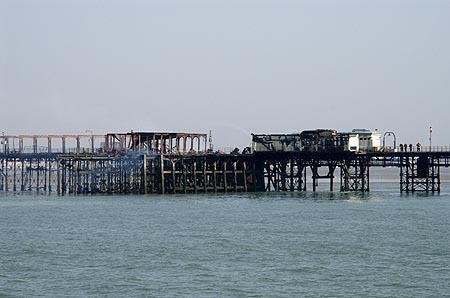 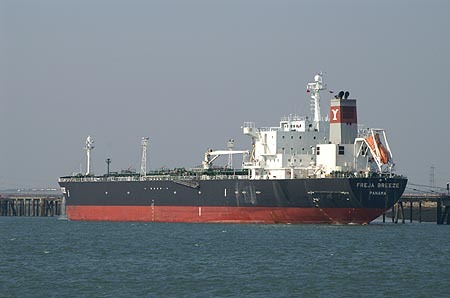 The aft section was cleared of munitions at the time of the accident but some 1,400 tonnes of TNT explosive (in a variety of bomb types and sizes) remain in the forward section of the wreck. 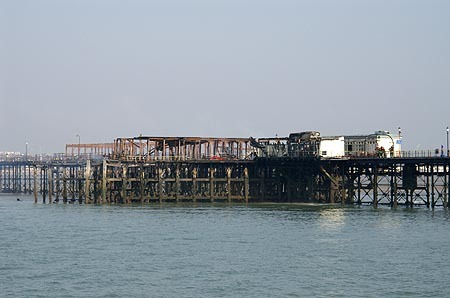 Wreck of the Richard Montgomery, with Southend in the background. 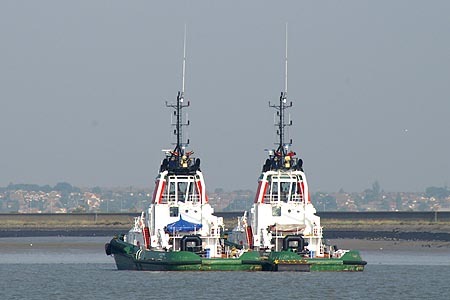 Kentish Flats wind farm, with two Cobelfret ferries.